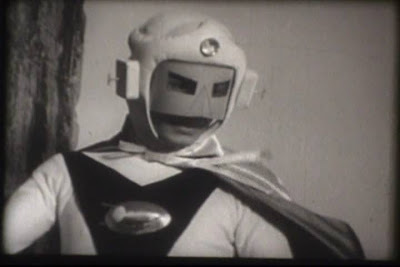 Prince of Space was originally a children's series that was produced for Japanese television. 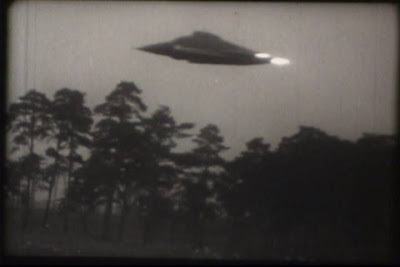 The episodes were chopped up and edited together to produce the feature film. The film suffers from this greatly. 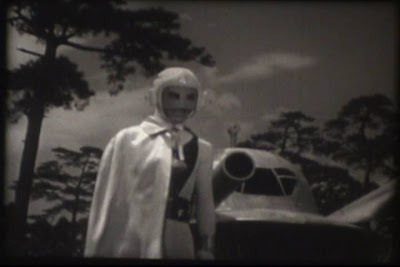 While again the acting, special effects and story were intended for children's TV the production is nowhere close to the standards of other Japanese sci-fi films made around the same time period, most notably, The Mysterians. 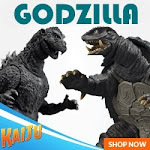 The film does have the feel of a lot of low budget films made here in America at about the same time with silly alien costumes and cardboard sets. 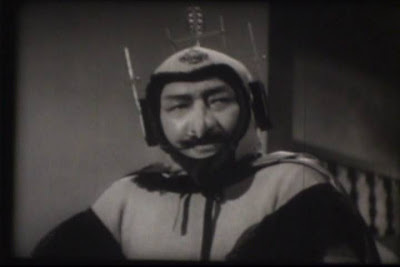 If you are a fan of Robot Monster, you will love Prince of Space just as much. Although the film may be cheesy, it's influences will be obvious to any fan of Japanese sci-fi cinema. The Krankor warship may very well have been the inspiration for the design of the more famous Atragon. 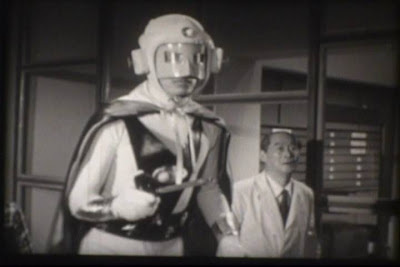 The film also would have been the for-runner of what would be an onslaught of Japanese superhero films and TV series. Again fans will see a lot of what would become Ultraman in Prince of Space. 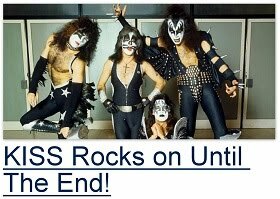 The films story would revolve around an attempted invasion by the evil Phantom of Krankor and his henchmen who try to steal a top-secret rocket fuel. This new fuel would be able to power Krankor's fleet in his quest to take over the galaxy. Only one man could stand in his way, The Prince of Space. Earth's hero, Prince of Space, is a bootblack by day and a cosmic protector by night. It is also a lucky coincidence for us Earthlings that he also watches the grandchildren of the scientist who created the rocket fuel during the day and eats dinner at his house every night. This inside information allowed our hero to determine the Phantom's plans almost immediately . Wasn't that lucky? The Phantom's weapons are no match for the Prince of Space. (Something he reminds him of a dozen times) So despite being able to destroy Earth's first rocket and being able to kidnap the two kids, Krankor's plans are foiled and the planet is saved.